For whiter, younger skin and better teeth. Contains Applephenon from Japan that reduces melanin production to make skin fairer plus Marine Collagen from England to make skin younger. 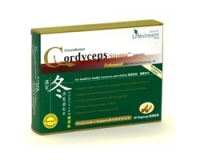 Fights dental caries and bad breath. Has an anti-ageing benefit. Applephenon from Japan is a Polyphenol (an antioxidant) extracted from unripe apples. Studies reveal that it whitens skin colour by reducing melanin production in the body. Melanin is the natural substance that gives colour to your skin. Applephenon reduces your body’s production of melanin and so your skin gets fairer, evenly. Applephenon also reduces dental caries and bad breath. As a powerful antioxidant, it has healthy anti-ageing effects. It is natural and has no side effects. 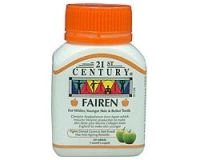 For quicker skin whitening results, also apply FAIREN cream. Take one in the morning and one at night before or after food. For quicker skin whitening results, also apply Fairen cream. Contains: No sugar, Sodium, Starch, Artificial Flavours, Colours or Preservatives.